Canada may have fallen into recession this year, but Canadian households grew wealthier last year, thanks to solid gains in real estate prices and the stock market. And according to a new survey from Environics Analytics, wealth inequality shrank a little in Canada at the same time. But it’s unlikely that performance will be repeated again this year, thanks to sliding stock prices and a slowdown in some of Canada’s real estate markets. The net worth of the average Canadian household grew by 6.1 per cent last year, while household debt grew more slowly at 2.9 per cent, according to Environics' annual survey. Much of that had to do with growth in real estate prices, which the survey pegged at 5 per cent in 2014. But households’ stock portfolios did even better last year, with investments rising 7.8 per cent. The value of employers' pension plans rose 7.2 per cent. 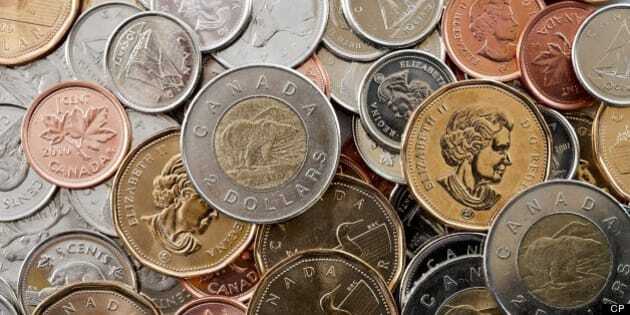 The fact that Canadians’ assets are growing in value faster than their debt means households are in a stronger position to weather the current economic headwinds, Environics said in its report. And wealth inequality shrank in 2014 as well, because the value of assets held by low-wealth households grew faster than assets owned by the wealthiest households. The bottom 20 per cent of households saw their net worth grow by 9.3 per cent, thanks to rising house prices, while the top 20 per cent saw their net worth grow by a smaller 5.6 per cent, meaning the difference between them shrank. The average household net worth (defined as the value of assets, pension plans and real estate, minus debt) was $589,511 in 2014, but there are very large differences from place to place. Here are Canada’s largest cities, ranked by average household wealth. Montreal has the lowest net worth among major Canadian cities, and it grew a relatively paltry 2.9 per cent in 2014. This was largely due to a stagnant real estate market. Parts of Ahuntsic-Cartierville and Longueil experienced sharp wealth declines, while suburban Pointe-Claire and Boucherville saw increases. Despite the oil price slowdown that started in 2014, Edmonton saw the largest increase in net worth of any major city, up 8.4 per cent on the year. Few areas experienced wealth declines. Overall net worth grew 5.3 per cent in 2014, but some neighbourhoods in Canada's capital, such as Sandy Hill and Rothwell Heights, experienced large wealth declines of more than 15 per cent. Average net worth grew 7.5 per cent in the city in 2014. Most neighbourhoods saw strong positive growth but wealth declined in some suburban areas, the Annex and in the lakefront condo communities. Despite falling oil prices in the second half of 2014, Calgarians' average household net worth grew 7 per cent in 2014. Some downtown areas experienced declining net worth. 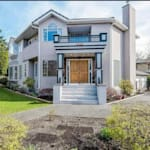 Vancouver households have the highest net worth of any major city, thanks largely to its high house prices. Net worth rose 8.8 per cent in 2014, but some parts of the West End and northern Surrey experienced wealth declines.